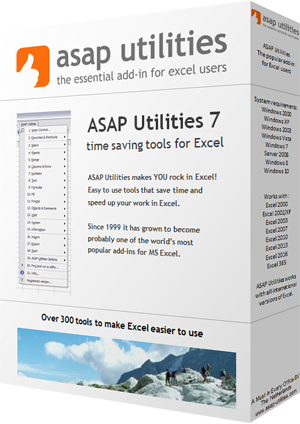 This utility creates or rebuilds the ASAP Utilities favorites toolbar. This is a toolbar that contains your favorite tools. You can customize the contents of this via the tool "Edit your favorite tools and shortcut keys...".